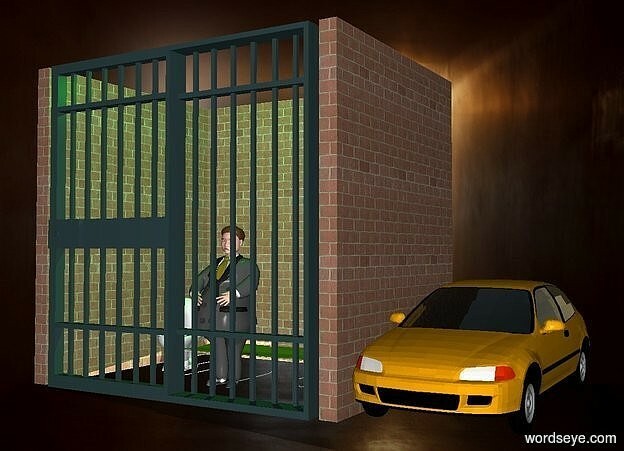 Input text: a prison.a car is right of the prison.a man is -5 feet in front of the prison.shadow plane.the prison's cot is olive.a green light is above the prison. A desolate home. Great scene!